Most popular social network on the globe is twitter inc., Very stable still today in list of top best social media after Facebook. So we need multiple twitter account for engage people impressively like as personal twitter, Business twitter. That time you have to be live all time on multiple account, By switch twitter account on iPhone, iPad apps. Officially apple released tweetdeck for desktop users and same for Phone. Unfortunately tweetdeck app shutdown long time ago for use multiple accounts. Now you can enjoy this feature in official twitter app. 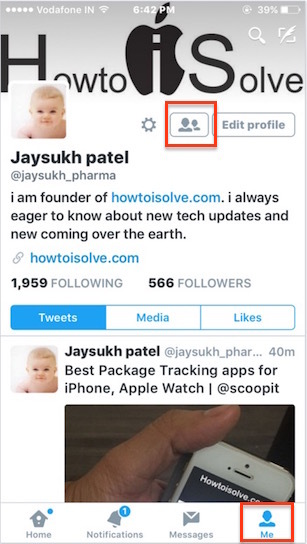 Option available on your app also, might be difficult to use or switch twitter account between multiple account. 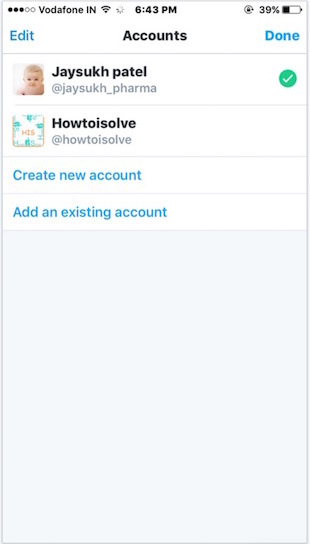 Follow the below simple steps and use more than one account at once on twitter iPhone app running on iOS 9, iOS 8/7. 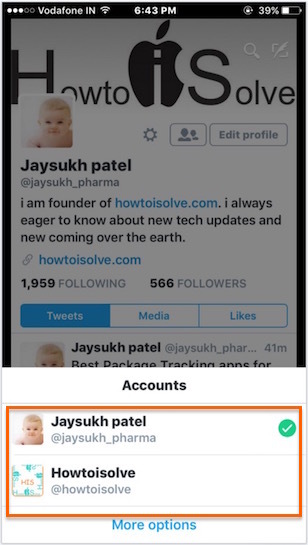 Don’t miss: Use multiple account, Switch account on Facebook, Switch account on Instagram. Step 1: Go to the twitter app on iPhone. Step 2: Login with first twitter account that’s you have with Username or Password. Step 3: After successfully login your home app screen should be shown in below, Tap on “Me” from bottom tab. Step 4: Near to your profile picture and Besides from Edit Profile option, Tap on Multiple profile icon. From the bottom accounts section > More Options. You have another twitter account, that’s you want use alternatively without leave app. Choose Add an existing account, Enter login details and press done. Now For switch account from one to another, Tap on profile icon and choose another profile. 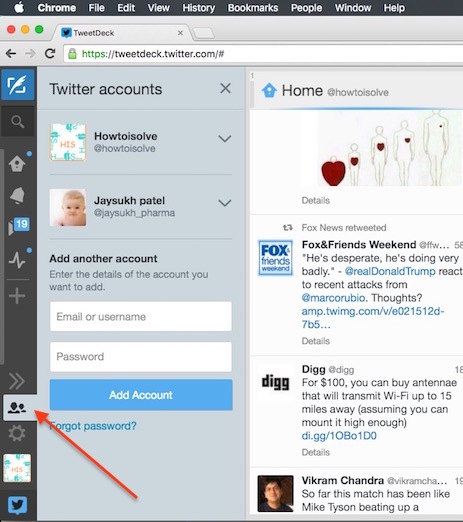 Tweetdeck is great online web platform for add any number of account under the primary one. From the side panel strap, Account option. Enter twitter username and password. And next click on add account. 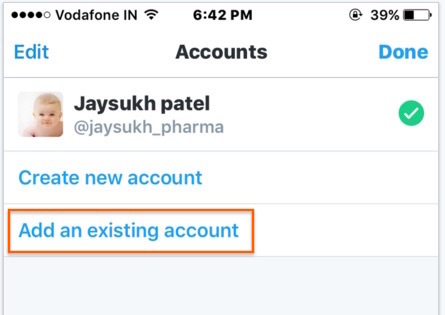 Switch from one account to another by clicking on name of twitter username list. Above both the methods about switch twitter account on iPhone, iPad, iPod or Web are very useful and tricky for all twitter lovers. Don’t miss to share with your friends on Facebook, Google+ or Twitter.